Staking a claim as the candidate of substance and specificity, wannabe Republican governor Tom Campbell Sunday night released a 3,131 word proposal detailing how he would deal with the state’s budget mess. The moderate Campbell faces an uphill fight against party rivals Meg Whitman and Steve Poizner, two candidates who are expected to be far better funded and who are competing with each other to run to the political right to pander, er, um, woo the very conservative GOP primary electorate. His calculation in setting out an extremely specific budget plan, always a problematic campaign play that can trap a candidate in his own numbers, is that it positions him to challenge and scoff at the tough talk of Whitman and Poizner as empty rhetoric that does not stack up to his straight-talking, real world proposals. Calling for a 15 percent salary giveback from state employees, for a savings of nearly $3 billion; if public employee unions do not agree with the reduction, he said he would furlough as many state workers as necessary to get the same result. Raising the gas tax by 32 cents a gallon for one year, in the event Propositions 1C-1E do not pass on Tuesday, deepening a $15 billion deficit to $21 billion, in order to avoid deeper cuts in K-14 schools and community college districts. Rejecting the governor’s proposals to sell off state properties, “borrow” $2 billion from local governments and accelerate tax payments, all of which he described as one-time gimmicks that will not address California’s structural deficit. Campbell is scheduled to debate the special election budget props with Insurance Commission Poizner in Sacramento Monday. Whitman declined to join the debate, presumably to have drinks with Fred Barnes. It takes veteran Beltway journalist and Fox News bloviator Fred Barnes only three sentences of his hot-on-the-web, 3,500-word profile of Meg Whitman in the conservative Weekly Standard to compare her to Ronald Reagan. Then he gets really complimentary. 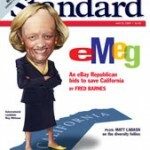 The Barnes cover piece, titled “eMeg: eBay Republican Meg Whitman bids to save California” (to his credit, he sorta credits Calbuzz for our coinage of our favorite nickname for Her Megness), not only portrays her as a strong front-runner for the GOP nomination, but also casts her as the vessel of all true Reagan virtues, from an unstinting belief in free markets to an easy way with people. Hold on there Fred, she may have have three conversations with you, but she’s still gotta make it past her first Calbuzz interview! 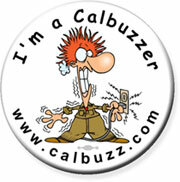 In the meantime, Calbuzzers, check it out. I lunched with Mayor Antonio Villaraigosa over corned beef sandwiches at a San Fernando Valley deli in 2006 – days after the City Council approved a $3 million settlement with a black firefighter who was tricked into eating spaghetti laced with dog food. The idea of paying that kind of money for a stupid fire station prank stirred a heated controversy in L.A, even if the Fire Department had a record of racially discriminatory practices. Villaraigosa appeared ready to sign off on that settlement. Antonio turned around with that great grin of his and said, “We’ll see.” A few days later, he vetoed the settlement, just about the only time he’s overruled the council in the go-along, get-along world of LA City Hall. Three years later, though, I’m still asking the same question: What ever happened to that punk from East LA? Antonio Villaraigosa brought a sense of excitement and hope for change to a troubled city when he was elected mayor in 2005. His charm and charisma brought large crowds to meetings where he spoke. Even conservative business people lined up to shake his hand and wish him well. Editor Kit Rachlis asked a lot of people, including me, what advice they would give the mayor for his second term. Antonio never stood a chance in the governor’s race, and with the stigma of “failure” haunting him, I don’t see how his campaign can ever get off the ground. LA’s massive budget deficit that could well bankrupt the city as it worsens in the next three years and the groundswell of discontent against him make it all but impossible to explain why he’s the right man to fix what’s broken in Sacramento. With his fancy suits and love of fine wine and food, his servants and bodyguards, his multi-millionaire’s lifestyle, Villaraigosa has lost connection with his roots, where he came from, and the ideals he once held dear. 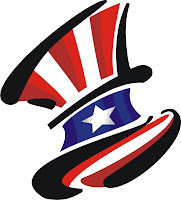 He’s become a showman and his politics all show business. He provides us with theater about great schools, gang-free streets and a green revolution, but little or nothing really changes. The schools remain a dismal failure; crime is down but the gangs deal drugs with impunity, and LA still has the nation’s most polluted air, worst traffic congestion and dirtiest power plants. Change, if it ever comes, is still far off in the future but the entertainer in him performs as if the applause of flattering audiences is the same as achieving something grand. It’s a pity, a waste of a talent that could have brought the people of LA together to do great things, create a great city. Many now dismiss the mayor as a man without substance, a narcissist driven by his ego and need for self-aggrandizement. That’s true enough, but it’s true of a lot of other politicians too. In my heart of hearts, I still cling to the notion that there is more to him, that the man I’ve had long rambling chats with is capable of rising above the users and sycophants who surround him. His ego need won’t be served by running for governor. His real opportunity is to finally get down to work as mayor, trying to make life a little better every day for the four million people who call LA home. Ron Kaye is the former editor of the Los Angeles Daily News, where he spent 23 years helping the paper become the voice of the San Fernando Valley. In the year since he left the Daily News, he has blogged about city issues at ronkayela.com and helped found the Saving LA Project, a loose-knit coalition of community groups citywide. He is working on the launch of OurLA.org, a non-profit online community-based newspaper.